The 2nd Freshwater Ecosystem Network (FEN) took place on 24th and 25th November in Pretoria. The main focus of the FEN 2014 was the National Biodiversity Assessment (NBA) 2017, especially the Freshwater component of the NBA. 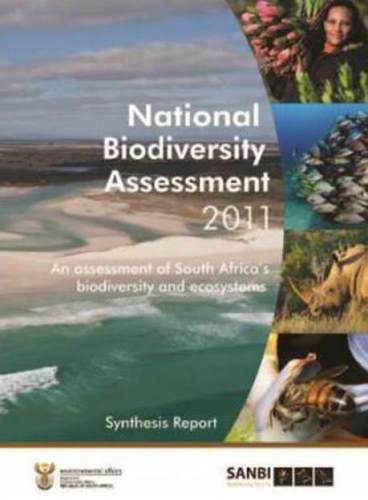 The purpose of the NBA is to assess the state of South Africa’s biodiversity based on best available science, with a view to understanding trends over time and informing policy and decision-making across a range of sectors. what do we as a sector want to do with the freshwater component of NBA 2017? what foundational data will be required in order to achieve this? how do we improve the quality of the National Freshwater Ecosystem Priority Area (NFEPA) data, since this comprised the freshwater input to NBA 2011? what kind of stakeholder processes will be required? Presentations and resources shared over the two days can be accessed via the respective menu option on the left, under FEN 2014.